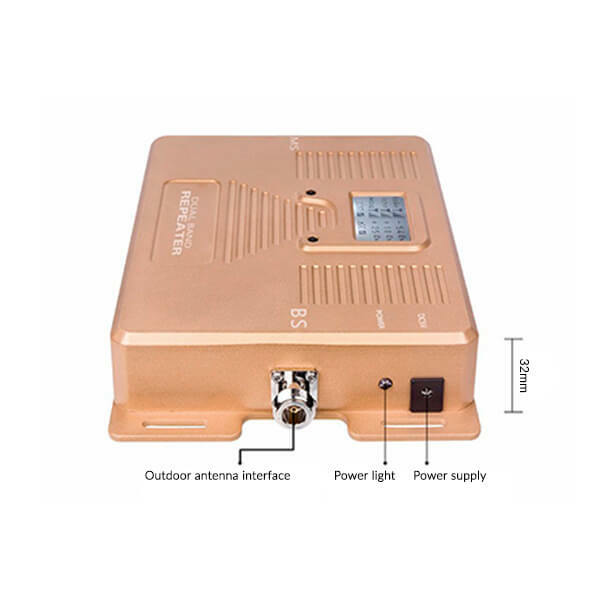 1845 – 1879 MHz AC:90~265V, 50/ 60Hz;DC:5V 2A 225*140*32 (mm) 1.1 KG. 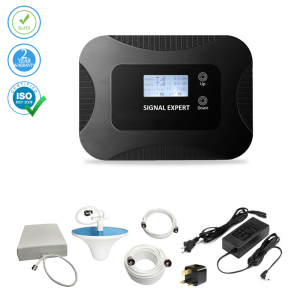 This signal booster has definitely made a difference in my life, I can now get full signal everywhere in my house instead of having to stand in the downstairs washroom every time I made a call! I didn't get any bars before and now I get 4-5 bars. I recommend this to anyone that needs a signal. This product met my expectations and actually exceeded them. Does exactly what it claims! All my friends and family can call me from anywhere in my five bedroom country home! This won't work if there's no service to start with. I still have no signal at all in my basement, but it has increased my signal to 3 bars in the rest of the house. My wife and I are keen weekend boaters, but wanted to stay in touch with our adult children while we were on the river. 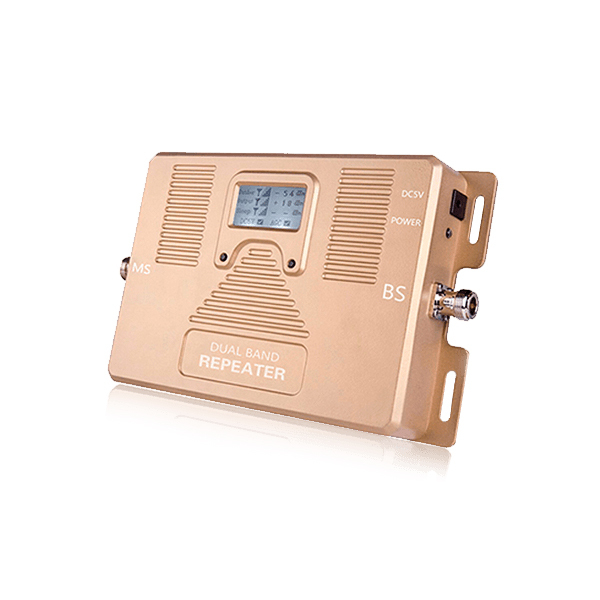 Thanks to this amplifier, we can now get just enough signal when we're on the water to give them a quick call. 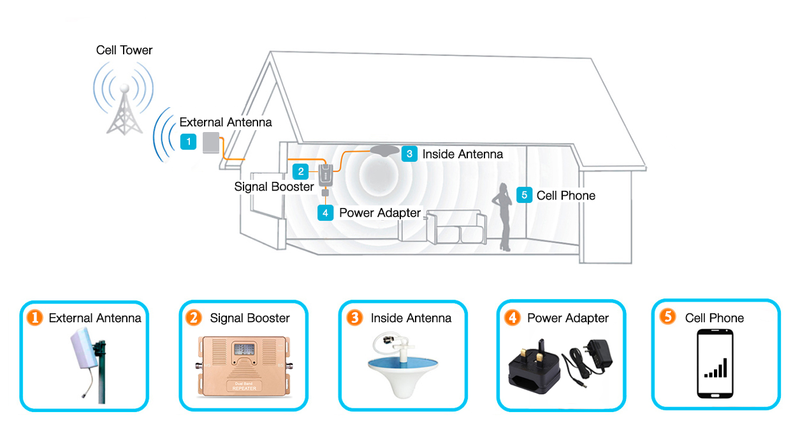 It turned out that I needed a second antenna to receive a signal in my property, but the team explained everything and sorted everything out for me. Now I have coverage. It has all the features I was looking for and is the perfect size for my needs! 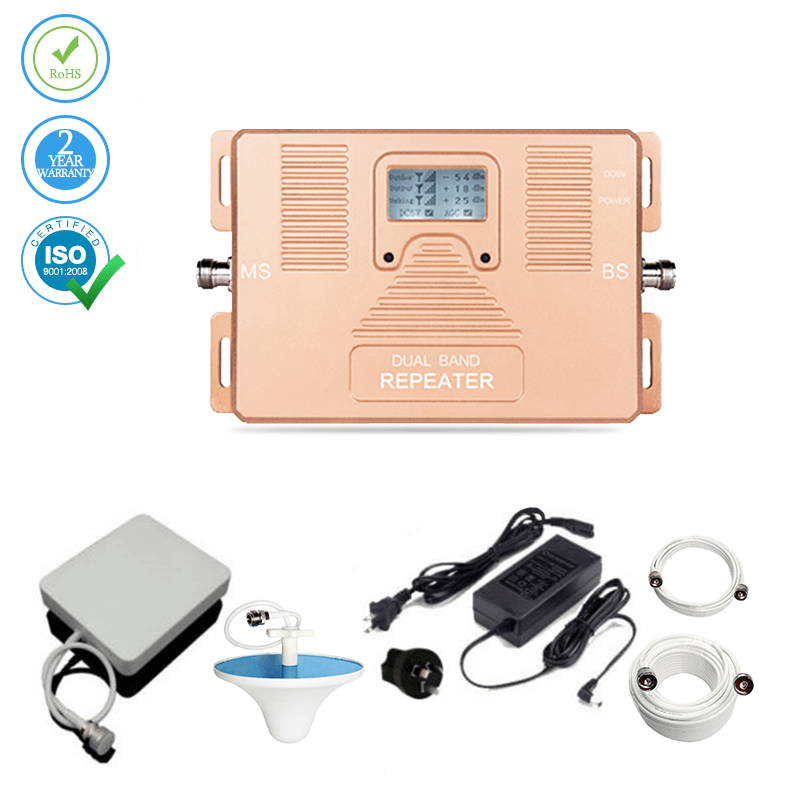 Amazing build antenna and worked very good - the signal receipting was much better compare to the small one came with the booster,I will be buying a few more to give as gifts. Bought this product 2 weeks ago and have been able to conduct phone use where I could not before. The website is easy to navigate and purchasing is a breeze. I have 3 vehicle boosters and a home/office one in my camper. I will continue to purchase cell boosters from here. I live in a mid sized apartment in a block in a city centre, so you'd think I'd get a great signal but for some reason I was really struggling to receive calls. A friend suggested I try this device and I'm glad I listened to him. It really has solved the problem, although the signal is still clearer the closer to the antenna you go. Still, it's better than it was before. Bought this to use at our camp. Service there no bars at all. Put up on a pole about 20' and it works great! This booster works for both my phone and my wife's phone, and we're on two completely different networks. This device solved a problem for me as I depend on cell coverage for work. Highly recommended! 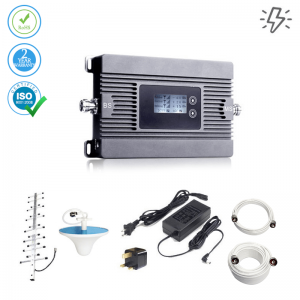 I live in a four storey townhouse, and while the signal on the main two floors was great, in the attic bedrooms and basement living room I had only 1 bar. I got two of these boosters, one for each space, and I've found a massive difference. Hi, there I am writing my first review I don't say a product is good unless I have experienced something great plus I'm lazy but these people know how to make a product. 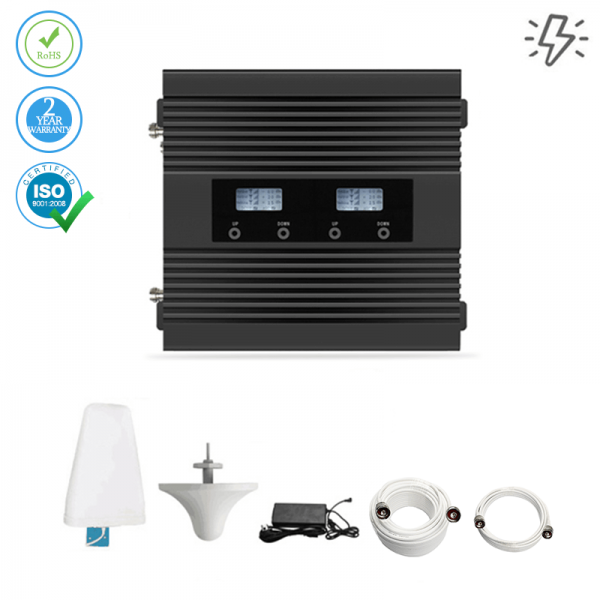 I live in the woods really really, and I must say this product is awesome I don't lose signal in the house at all and when I walk in my room I used not get any signal and now I get 2 and 3 bars if I don't move the phone I have seen full bars. I recommend this product. I bought this for my husband who works in remote places. It definitely boosts his signal strength. Would definitely buy again. 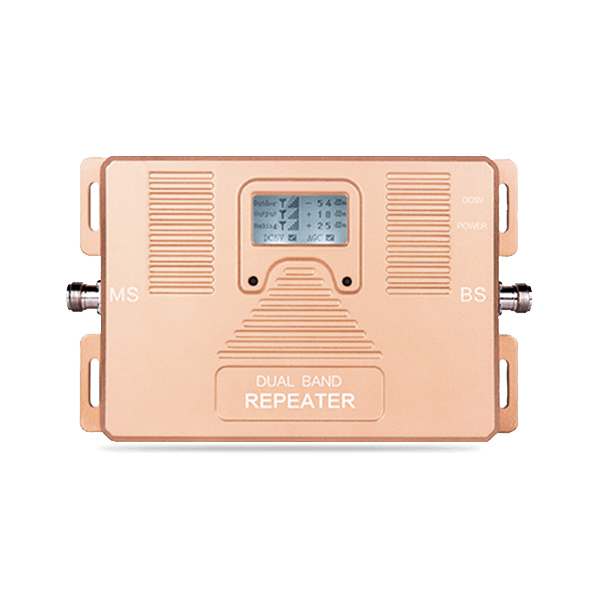 This is the second mobile signal repeater that I've owned. The first (from another company) broke after a couple of months so I replaced it with this one. Already I can see that it's better made and offers a better level of service. Delivered quickly, thank you.Works great. We now have full bars everywhere. Is there anything worse than having to tell callers to wait while you wander around the house asking "Can you hear me yet?" I've saved so much time since I got this device since I can hear everyone first time.